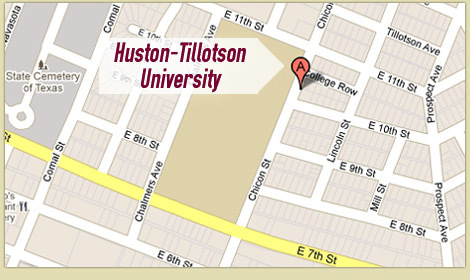 I am Dr. Alaine Hutson and I joined Huston-Tillotson University in fall of 2008 as an associate professor of History. I have also taught at Missouri State University for nine years, Michigan State University, and Houston Community College. I specialize in African and Middle East history with an emphasis on slavery and gender in Islamic societies. I also teach environmental history. My research is currently surrounding the question: Is there an African Diaspora in the Middle East? In pursuit of that research I have recently traveled to seminars and conferences in: Cape Town, South Africa; Amman, Jordan; and Salzburg, Austria. I have been a UNCF/Mellon Faculty Fellow resident at the James Weldon Johnson Institute at Emory University and a Henry C. McBay Fellow. While resident at JWJI I founded and continue to edit the REMAP database website (www.remapdatabase.org ). I also have received a grant from the Sam Taylor Fellowship from the United Methodist Church. I have two academic articles forthcoming: “REMAPping the African Diaspora: Place, Gender, and Negotiation in Arabian Slavery.” In Gendering Knowledge in Africa and the African Diaspora: Navigating a Contested Terrain, eds. Toyin Falola and Mickie Koster, Amherst, NY: Cambria Press and “ ‘His Original Name Is . . .’ : REMAPping the slave experience in Saudi Arabia.” In Forms of Bonded Labour: Conceptual Approaches Towards a New Comparative Research Framework, eds. Sabine Damir-Geilsdorf, et al, Bielefeld, Germany: transcript, 2016 and several previous publications include “Enslavement and Manumission of Africans and Yemenis in Saudi Arabia, 1926-1938.” Critique: Critical Middle Eastern Studies; “African Sufi Women and Ritual Change” in the Journal of Ritual Studies and “Gender, Mobility, and Sharia Law in Northern Nigeria” in International Institute for the Study of Islam in the Modern World (ISIM) Newsletter. I have settled down here in Austin, but love to travel for work and play: I have lived and done research in Nigeria and the United Kingdom; I attended seminars and studied in Austria, Canada, Egypt, France, Jordan, Morocco, South Africa, and the Sudan; as a child of an Air Force family I lived in Germany and as a grown-up historian have visited colleagues and given lectures there; and along the way I have visited China, Ghana, Italy, Mexico, Niger, Saudi Arabia (six hours in the airport counts, right?☺), Switzerland, and Tunisia. My education is my most valuable asset and it all started at the University of Pennsylvania in the city of my birth, Philadelphia. My undergraduate experience really shaped how I think, who I am, and what I do for a living. My education introduced me to the world of intellectuals and academics and helped me determine my career path. I began studying Africa and the Islamic World and wondering the globe. I fell in love with African and Islamic history while studying in Nigeria at the University of Ibadan and crafted my own individualized major in African Studies with a heavy emphasis on history and Arabic training and much study with visiting international scholars. Along the way I became a student-athlete, learning to row on the Schuylkill River and being part of a strong crew tradition at the school. The opportunities I took advantage of as an undergraduate really helped me stand out from the crowd of applicants for graduate school; I won a full CIC fellowship to Indiana University where I earned my M.A and Ph.D. and along the way was able to study with a few famous African historians at Oxford University and learn an African language, Hausa, at SOAS, London. My undergraduate experience still sets the tone for my life today and enables me to take advantage of new opportunities. I am still a student-athlete in life. I continue to learn new things and teach in all aspects of my life. I row here on Town Lake, play tennis, learned to be a professional tennis official, and taught others to become certified tennis officials. I have traveled all over the country and been on court as an official with the best women and men tennis players in the world. I have recently learned more about the Middle East and changed my focus from sub-Saharan Africa to the Arab world. I still love to travel and learn about new cultures. Turkey is the next new country I hope to visit. I hope that Huston-Tillotson University graduates cherish their undergraduate education as I do mine and along the way to earning their degrees they are afforded opportunities that will enrich and change their lives for the better; that is my goal in teaching and working with students here.